This past weekend we took an opportunity to “get out of Dodge” and went to visit my daughter and her family. I took a freshly, baked loaf of “Nona” bread and homemade butter. I love that my granddaughters have coined it “Nona Bread”. There’s nothing that makes my heart sparkle more than seeing the little ones bite into a fresh slice of my homemade bread and butter. Rory eats it toasted. Ella asks for “cold toast”, as she calls her untoasted portion. As they enjoyed their slices of bread, I had a few opportunities to enjoy steaming mugs of freshly brewed coffee. I can still envision those moments and how good they felt. I’ve been thinking of coffee more than usual today. I buy Fair Trade coffee beans and I’m increasingly exploring “fair chain”. This is because Fair Trade can fall short of supporting laborers in the field. Fair Trade principles look out for farmers – particularly women and children – and that’s awesome, but many laborers in the field are left out of the benefits of Fair Trade as they often move from farm to farm. The timeless coffee beverage was one of the first products to be organized under Fairtrade rules to ensure workers are not exploited. I look for Fairtrade certification on my coffee purchases, not only for home consumption but also when I travel. It’s encouraging to see more hotels and restaurants are providing Fairtrade coffee. 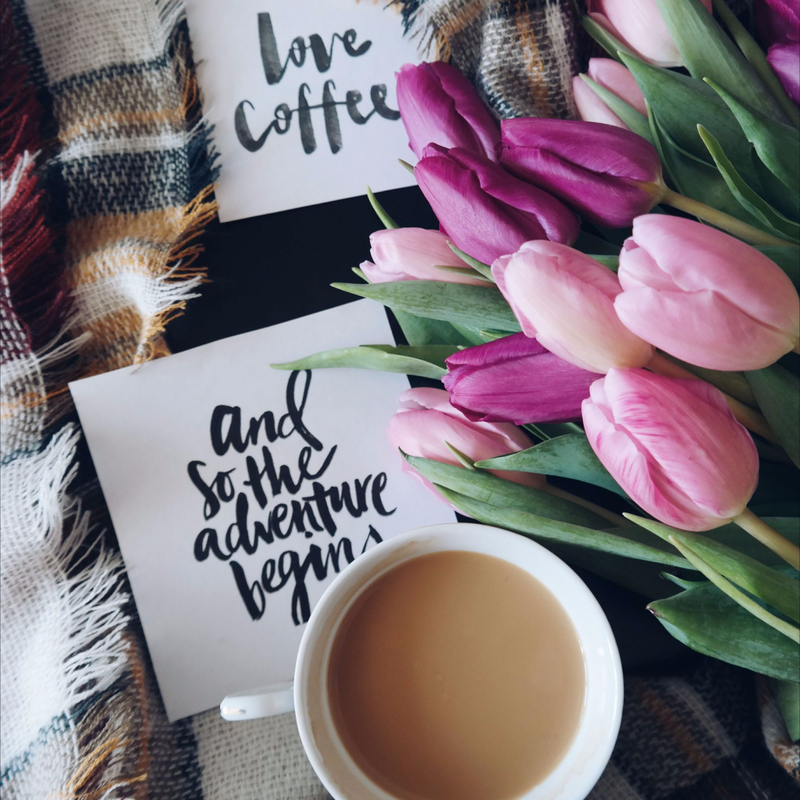 Check out this resource for coffee-dedicated blogs. I fell in love with “pour over” coffee on a business trip, years before it was popular here in the states. While there are many different tools sold to make pour over, I use the Chemex 6 cup Glass Coffee Maker; Chemex natural paper filters, the stainless Ovalware Pour Over Coffee Kettle; cooking thermometer; Capresso Conical Stainless Steel Grinder; and an electronic kitchen scale. I lean toward medium roast Costa Rica and Nicaragua beans, but I’ve been impressed with recent selections from India. The process is simple and nearly a meditative practice, with no distraction of lights or loud brewing noises. Coffee drinkers tend to favor particular flavors. The Specialty Coffee Association created a “flavor wheel” of 172 standard coffee descriptions. They diverge greatly from the standard “strong” or “weak”. I favor nutty, fruity coffee that tastes like the warmth of the earth. Hold the “mildew” and “sweat”. Here’s how I make my pour over. Bring 600 grams (20 0zs) of water to 200F. Weigh out 30 grams of coffee beans and grind to desired coarseness. The standard ratio is about 0.25 grams whole beans to 150 ml of water. The finer the grind, the stronger the coffee. On the other hand, a coarser grind can impart a bitter taste. Place the filter in its designated holder. Wet the filter with hot water to the remove possible paper taste. Add the ground coffee to your filter and make sure the grounds are level. This first pour is the most important. Starting at the outer rim, begin pouring water slowly over the grounds. Move in a steady spiral toward the center of the grounds. Time this to about 15 seconds or until the grounds are thoroughly wet. This step is called “releasing the bloom”, because it is releasing the CO2 and allowing the coffee to blossom and rise up; then settle. Wait about 30 seconds before adding more water. It’s magical. Really. Starting at the center of the grounds, pour about a third of the remaining water in a spiral motion, back to the outer edges. Wait a minute. Become mesmerized watching the steam rise and savoring the aroma hitting your senses. During this minute, the grounds will sink, allowing the water to provide a more even extraction from the grounds. Here’s where folks can differ on process. One option is to pour half of the remaining water (about 100 grams), using the same pattern as in pouring step 2. Wait 20 seconds, then pour remaining water. I don’t do this step, I just pour the remainder of the water. Then I wait about 30 seconds. Remove the filter and grounds for disposal. Pour your perfectly made wake-up brew into a ceramic cup and enjoy! Refine the technique to suit your taste. My advice is to make the same brew multiple times and perfect the technique to your taste preference. As beans vary, this will give you a base line to determine your adjustments with other beans. 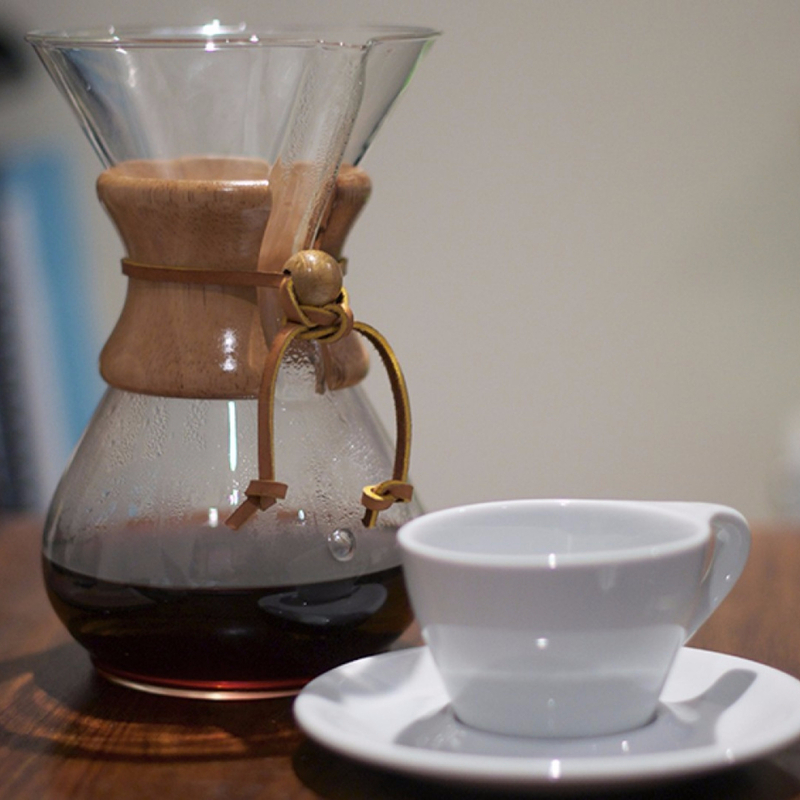 Now that you’ve tried the pour over method, what do you think? Do you have a preference? I look forward to making my first-ever cup of pour-over coffee and the meditative state that it shall bring forth – thank you! 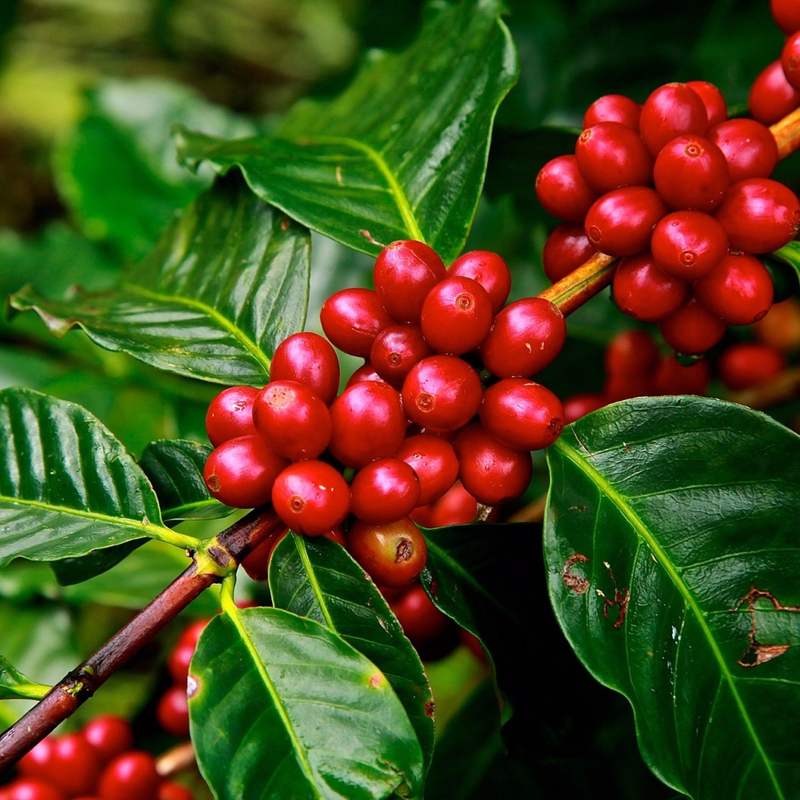 Look for (Arabica) beans from the south western Karnataka Region – Peaberry Plantation. Some estates are 100+ years old, but have not produced on a larger scale til more recently. (We’ll see more production, I believe, as climate change progresses. Climate change is making some growing areas around the world less favorable, but the other side is that other countries, such as India, are becoming more favorable.) Coffee from this region tends to be low acid and the smell of the earth I favor. You’re inspiring me to write a post just on India’s coffee.